By buying this product you can collect up to 1300 loyalty points. Your cart will total 1300 points that can be converted into a voucher of 0. SafetyNigeria's Underground warning tape is a coloured polyethylene underground marker tape with a printed warning message for marking underground buried services. Underground tapes are used for marking, indicating and alerting workers to buried utility installations. SafetyNigeria underground warning marker tape is an economical way of warning excavators of buried pipes and cables below ground. Underground warning tapes can be manufactured with any text, in any language, any colour and size manufactured to your specification. 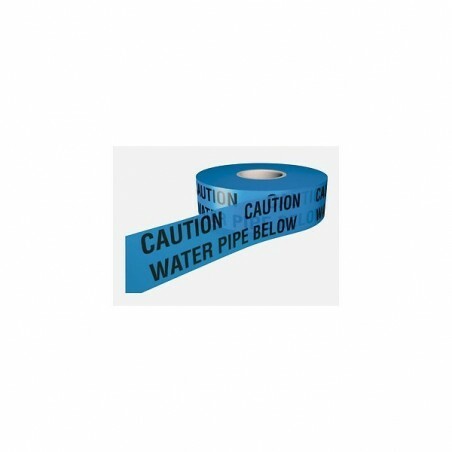 Standard underground warning tape texts are available ex-stock.